Malaysia, a special Muslim country. There are so many mysterious things which expect to be discovered by traveller. This is the Muslim country, however mix with many other races such as Indian and Chinese so there are many religions there except Muslim like Buddhism, Christian, and Hinduism and so on. Certainly, different races not only prepare many kinds of religions, but they also own different cuisine culture and different life styles. Well, the capital of Malaysia is Kuala Lumpur, a metropolis city in Malaysia, flocking different races here. However KLCC (Twins Tower) is also very famous building and landmark in Kuala Lumpur. 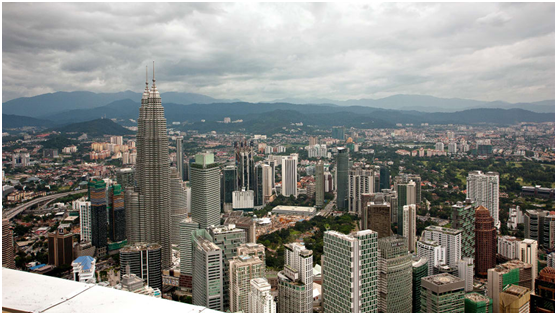 KLCC is well known around the world, so why it is such famous and attract many travellers to visit. Well, when you visit to Malaysia. The most of travel companies will arrange the tourists to stop in Kuala Lumpur because of its famous building KLCC. This is shopping heaven for us. There are many famous brands here, you may travel from first floor and windows shopping with world brand. Certainly, you also may have a rest in Starbucks, KFC or shopping daily needs from supermarket. Remembering some famous food booths on the fourth floors, then you could try a lot of local traditional flavors there. KLCC was the highest skyscraper around the world, at the present it is also the highest double tower building and the rank 8 of the highest building around the world. It is located on city centre of Luala Lumpur so it is famous as KLCC. KLCC’s height is around 452m, total are 88 of floors and it was designed by Cesar Pelli, an America architect. The building materials adopt massive stainless steels and glasses. And it is near to Kuala Lumpur Tower, as both of famous landmarks in city. 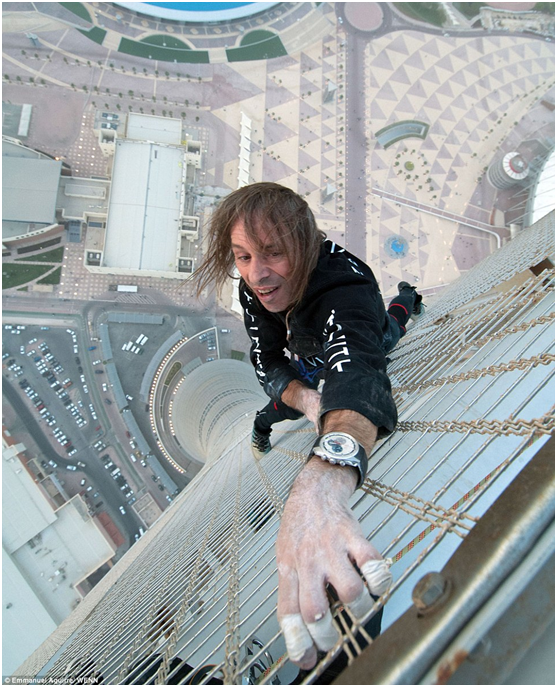 Remembering Sept, 1st , 2009, a Frenchman, named “spider-man” but his real name as Alain Roberts, climbed to the top of the 452 meter high KLCC tower in Kuala Lumpur, Malaysia. However, He was arrested by the police and may face criminal charges because he had not been approved to climb the building by local government. Some eyewitnesses said Robert, dressed in black, moved quickly and climbed to the top of one of the state-owned oil company’s Twins Tower bare-handed in less than two hours and planted a Malaysian flag on the roof of tower. More Malaysia Information, Here we go. Click this link to know more.